I started using a bike for transportation in May 2005. I did it to impress Bobby Gadda, who had been bike commuting for a while. I remember going to the Goodwill outlet and getting a $10 red bike with cylinders sticking out on either side of the rear hub, which we promptly christened Pegs. Soon we went for a ride, and all of a sudden, I realized that I was going to have to ride Pegs in the street next to cars driving. And up hills. These were not things I had done before. Growing up, I sometimes rode my bike on the sidewalk of a quiet neighborhood street to get to a regional bike path, would quickly lose interest, and would then ride home. I don't have the nostalgia for glorious childhood freedom on a bike that I've heard from lots of other bike advocates. Instead I got that sense of liberation from walking and riding the bus. In college, I had inherited a roommate's lovely Schwinn cruiser with a nice big basket, and I sometimes rode it across campus to the library, but it never occurred to me to ride it into the city. A low-traffic street! With a bike lane! Terrifying! Granted, Steele does get much hillier a few blocks east, but when I was biking this way last month I had to stop to take this picture. I was on my way to talk to undergrads at my alma mater, Reed College, about experimental urban anthropology. It made me laugh to see this space now, seven years into being a bike commuter and five years into being a bike researcher/activist. It reminded me of the summer in 2008 when I left my bike at my mom's house, thinking she'd be able to use it while I was away on research trips. She tried to get on, and I have rarely seen my mom look so graceless. Huh, it dawned on me, road bikes with dropped handlebars aren't necessarily the easiest bikes to hop onto if you're not used to bending over while you ride, not to mention having to lift your leg over the bike to get on. I'd been riding for long enough by this time that I didn't remember these things. When we learn how to ride bikes, we're teaching our bodies to adjust to specific machines. I always feel unsteady for the first little bit when I borrow a bike, having to figure out brakes and gears and my body's position. But we're also teaching them to adjust to specific spaces. This street seemed really scary to me when I was first riding. When I rode here recently, I did not get the double whammy heart rate feeling. 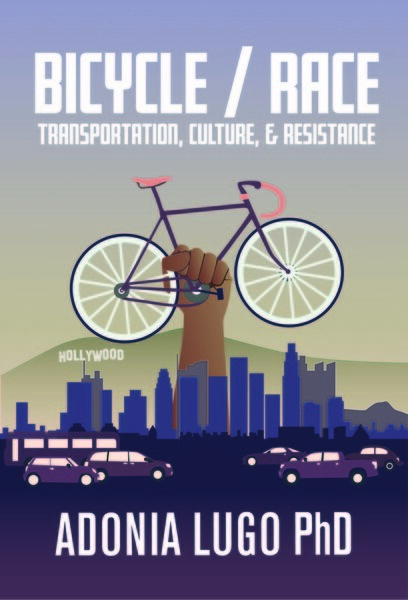 The theoretical framework of my dissertation focuses on these phenomena, how talking about "bicyclists" makes less sense than talking about "bicycling assemblages" that we make out of our bodies, our bikes, and our cities. These elements come together in a definite shape as we develop what Marcel Mauss called "techniques of the body" and become comfortable riding in traffic. Back in 2005, I didn't have an inkling that riding a bike would become such a central part of my life, but it quickly became something I loved.